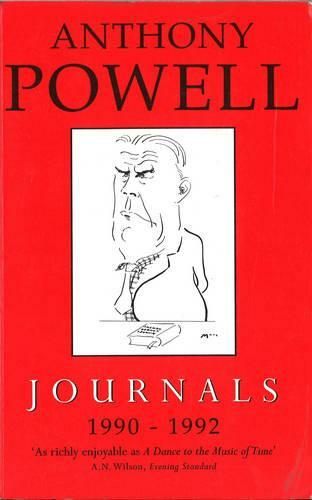 The first two volumes of Anthony Powell's journals have already been publilshed, to great critical acclaim. These journals started in 1982 when Powell had become 'stuck' on a novel, became the place where he could most happily exercise his powers of observation, and record his memories of times and writers past. This, the third volume of his journals, sees the writer in his house in Somerset, the Chantry, encountering old friends, journalists, publishers, relations. He rereads the plays of Shakespeare, and revisits the work of a huge range of writers, from Ivy Compton-Burnett to L. Rider Haggard. He remembers Evelyn Waugh, Philip Larkin, Malcolm Muggeridge, John Betjeman, Kingsley Amis and Marlene Dietrich. He is visted by, among other, V.S. Naipaul, Alison Lurie, Harold Pinter, Antonia Fraser and Evangeline Bruce. The author is given an honorary doctorate from the University of Wales, in the dining-room of Chantry. In these frank and entertaining pages, the daily life of a great literary figure unfolds in an volume that will delight his many fans as much as its predecessors did.